Free Spirit Publishing, 9781575421933, 112pp. Janet S. Fox is a writer, teacher, scientist, wife, mother, and avid gardener. She has published poetry, short fiction, and science articles, taught an elementary reading program, and now teaches middle school and high school English. Janet and her family live in Texas. 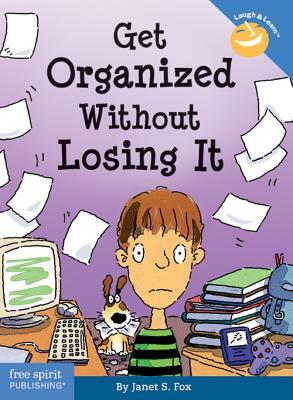 If students have their schoolwork organized thoroughly then they have won half the battle for a great school career. [Janet Fox] gives specific ideas of what to purchase, such as plastic pouches and folders, dividers and binders, in a precise shopping list. The best advice is "when in doubt, throw it out." The other significant message is to have a planner and check it every morning and evening. She advises picking out your clothes and packing your lunch the night before. There are also great clues to paying attention to information a teacher gives because it will be on a test: how to write this information down and highlight it. In reading texts for class, Fox reminds students to skim, highlight, and summarize.